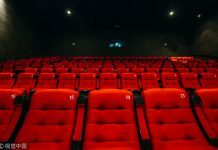 Romantic comedy “Crazy Rich Asians” was a breakout success in the United States for Warner Bros., but it taking in less than 7.957 million yuan (1.15 million U.S. dollars) in its opening weekend at the Chinese mainland box office, according to Maoyan, a Chinese online movie ticketing website. The film has so far raked in some 1.6 billion yuan (228 million U.S. dollars) in global box office – over seven times its production cost. On Rotten Tomatoes, it received an impressive score of 92, while it did well at the box office in North America and generated a lot of discussions, the Chinese mainland market suffered. 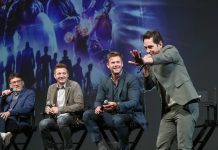 The report also said some people might be curious to see the film because of its success in North America, but they could not respond to the high box office. The last romantic comedy introduced in the Chinese mainland was “Bridget Jones’s Baby,” which earned 5.5 million yuan (800 thousand U.S. dollars) at the box office. The film has received little attention and discussion in China. The Variety blamed the late release for the movie’s poor box office performance. It opened in most markets in August, and large numbers of potential Chinese mainland viewers have already watched it abroad or online by this point.